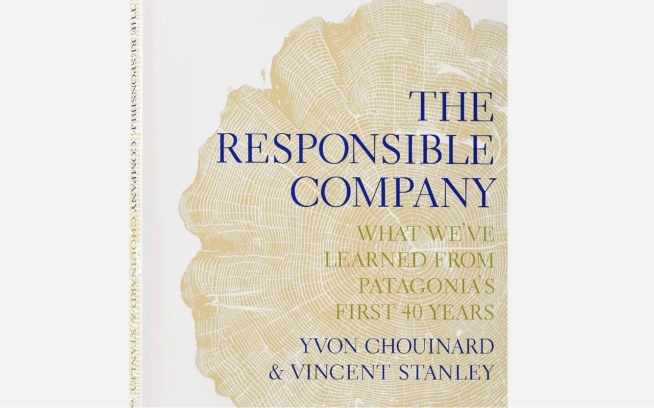 Today’s post – about one of the simplest pieces of gear we’ve ever made – comes from Patagonia’s founder, Yvon Chouinard. It originally appeared in the 1980 Chouinard Equipment Catalog. tumpline: (Algonquian origin) A sling formed by a strap slung over the forehead or chest used for carrying a pack on the back or in hauling loads. My back got progressively worse until an expedition to Nepal in 1978. There I noticed how the local people all had huge fillets of muscle running down both sides of their spinal columns. They spend their lives carrying awkward loads in excess of one hundred pounds over high passes. And they were doing all that carrying with just a crude, plaited bamboo tump line. I immediately saw the solution to my problem. As long as I had to carry a pack I might as well be exercising my back at the same time! Besides, I’ve never been able to fully utilize modern packs. Hip suspension packs work only on the flats for me. Whenever I try to go even slightly uphill, my hips feel like they are going out of joint. Carrying heavy loads with just shoulder straps leaves me with sore shoulders and back pain at the end of the day. And I can’t breathe with sternum straps. For the next 46 days I used what is probably the oldest, most widespread method of load carrying there is – the tump line. I jerry-rigged a sling with one-inch webbing that went down the sides of my pack and around the bottom. On the first day out, in the jungle near Biratnigar, I could only carry 15 pounds for an hour before my neck felt like it was ready to go into a spasm. After two weeks I was carrying about 30 pounds for three or four hours a day. Finally, up near Makalu, winter set in. All the passes were covered with deep snow and I was able to break trail all day with a 50-pound load supported by my crude tump line. My back problems had disappeared. For three months after the expedition I suffered no back pain at all. Then it started bothering me again, despite my active life of surfing, tennis, climbing and swimming. Later, on an expedition to Ecuador, I used the tump line again, with the same good results. Since then, I’ve carried every load over 25 pounds with the tump line. Knowing what I know now, I would never go back to conventional packs, with or without my back problems. 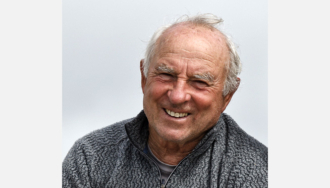 Photo: Yvon Chouinard and Jeff Johnson screengrab from 180° South. But it’s not just me. On an expedition to Tibet I turned on a few friends to the tump line and, whether they had back problems or not, they felt less tired at the end of the day. 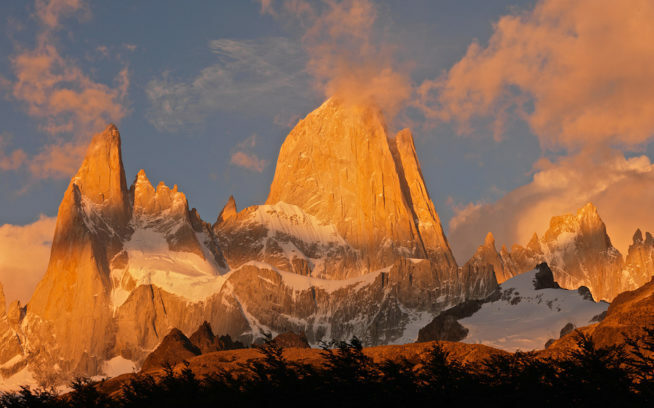 They noted the biggest advantage at high altitudes, where lung expansion is totally unrestricted. You can breathe with a smoother rhythm and breathe deeper without shoulder straps. The rig I now use is very simple. It’s a two-inch wide piece of soft webbing that goes over the head and narrows down to three-quarter-inch webbing with an adjustment strap. This goes along the sides of any soft or frame pack and then around the bottom. I like the strap to go across the top of my forehead so I can press foreword and build up my neck muscles, although to reduce effort it should be slightly more on top of the head. I use shoulder straps to carry about 20% of the load on flat or uphill stretches and then tighten them down to carry most of the load for downhill bits. Otherwise, the jarring effect of going down a steep slope is too much for my weak knees and neck muscles. Also, shoulder straps stabilize the load side-to-side. When you first try out a tump line remember that it will take a while to get used to. You can’t go directly from the aerospace age to primitive times and ideas without adapting yourself. You will need time to replace dependence on 6061-T351 Paralux frames with your own muscle and body dynamics. Take it slowly and build up to it. The more painful and difficult it is at first tells you how weak your back really is. Eventually, those muscles will get stronger. And your enjoyment of load carrying will increase, especially if you take pleasure in being out of step with the technological age. If this sounds like something you’d like to add to your rig, the Patagonia Tumpline is available on our website. To see more footage of Yvon wearing his tumpline in 180° South, check out our short video The Simplest Solution.